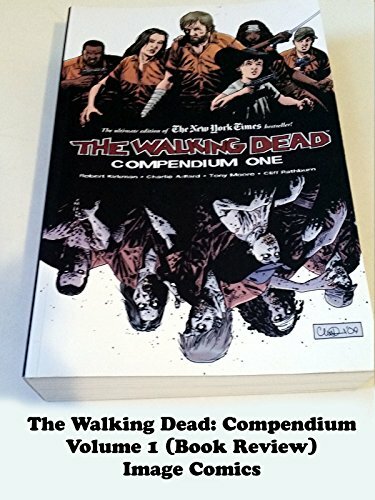 The Walking Dead: Compendium 1 (Book Review) Image Comics. This volume includes comic book issues 1 to 48 in the series. It's in black and white just like the original comics. There are no comic book covers included, that is the only slight nit picks. But this is a fantastic value at over 1,000 pages. And it's less then a dollar an issue if you can find it cheaper then cover price online.